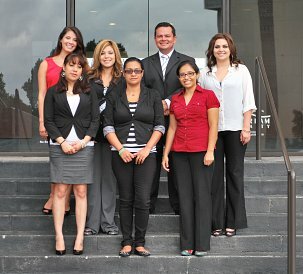 Our San Antonio bankruptcy law firm can stop wage garnishment, lawsuits, car repossession, payday loan collections, harassing debt collector phone calls, and home foreclosure in the San Antonio / Bexar county area and surrounding counties (see list of counties at the bottom of this page). Se Habla Espanol – Our office is available evenings and weekends. Are you thinking about filing bankruptcy but you would like to speak with an attorney and have some of your questions answered before you schedule an appointment? Call us at 210-209-9088. We are happy to answer questions and we are available during the week, as well as evenings and weekends. 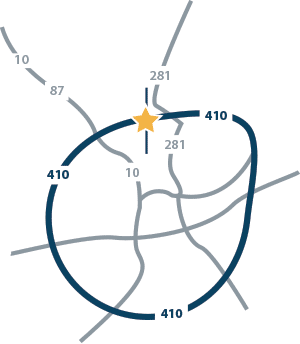 Our law office is conveniently located at 1100 N.W. Loop 410 in San Antonio. We are on the East bound access road to N.W. Loop 410. We are right off 410, between I.H.-10 and 281 (the intersection of Blanco Rd and Military Highway) only a few miles west of the Airport. You have probably seen our building many times; we are in the One Castle Hills Building (Webster University). For more detailed driving directions and a photo of the outside of our building, please visit our contact page. If you are looking into bankruptcy you are probably doing so as a last resort. A common misconception about people who file bankruptcy is that they are in financial trouble because they have lived lavishly and spent money irresponsibly. This is not at all what we are seeing here in San Antonio (and not what we are hearing from other bankruptcy attorneys throughout the country). Most of our clients are experiencing financial difficulty because of circumstances outside of their control. Many have insurmountable medical debt from an illness or injury. Others have experienced job-loss during the recession. Military families often experience tremendous financial strain during times of active military duty. We know that financial stress can seem impossible to overcome. We can help you overcome these problems and move on to a brighter future. Did you know? The origin of debt forgiveness can be traced all the way back to the Bible with the Jubilee year every five years and then to the cancellation of debts every seven years. In the United States, bankruptcy laws were enacted in the 1800’s. Although these laws have been reformed many times over the years, one thing remains constant, in the United States you are protected under the bankruptcy laws and you do not have to live your life in debt. How much does it cost to file bankruptcy in San Antonio? The cost of your case depends on the chapter (7 or 13) of bankruptcy you file, if you are married or single, and on the complexity of your case. We understand that if you are looking into bankruptcy, cost is a factor. Our fees are comparable to those of other law firms in the San Antonio area and we offer affordable payment plans. Call our office and we can answer your questions about attorney fees and court costs of bankruptcy. During your free consultation with the lawyer, he will go over the details of your case and let you know what it would cost for you to file bankruptcy, including attorney fees and court costs. While some law firms in the San Antonio area will advertise a flat-rate fee for bankruptcy, that can be misleading. When you see a very low flat-rate fee for bankruptcy, you have to ask if attorney fees and court costs are included in that price and what happens if your case is slightly more complex than the standard bankruptcy? Are you being harassed by payday loan companies? Call us. We can put a stop to the calls and threats! Payday loan companies may be telling you that you can’t discharge payday loans through bankruptcy, but you can. These companies can be ruthless in their attempts to collect money. When you retain our law firm, we will deal with these pay lenders for you. Can filing bankruptcy stop a car repossession? Yes! If you are behind on your car payments, call us now! What is the cost for a bankruptcy consultation with Attorney J. Robert Vanhemelrijck? There is no charge for a consultation with a lawyer. Consultations are free. 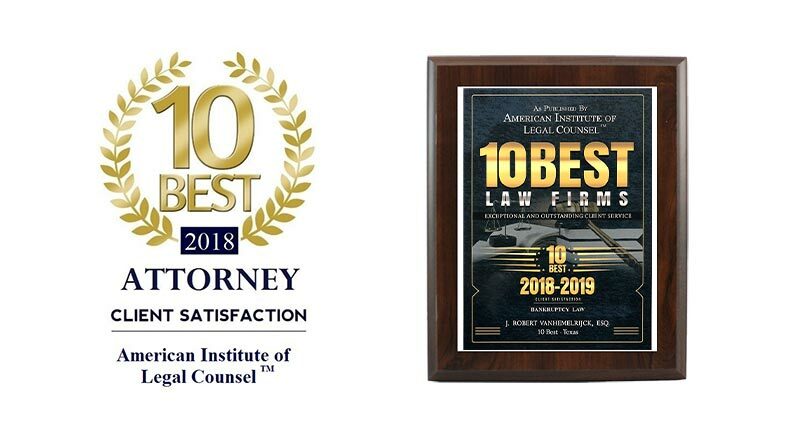 When you meet with Attorney Vanhemelrijck, he will answer your questions, let you know all of your debt relief options and go over fees and payment options with you. I am in the military can I file for bankruptcy? Yes. Our law firm frequently represents military personnel and those with security clearance. Please see our page about filing bankruptcy if you are in the military. Also, feel free to call our office or email us with questions. How do I decide which Chapter of bankruptcy that I should file? Attorney Robert Vanhemelrijck has many years of experience practicing bankruptcy law in San Antonio, Texas. During your consultation, he will help you decide which chapter, Chapter 7 or Chapter 13, you qualify for and if it would benefit you file. He will also let you know about other, non-bankruptcy options that are available to you. Serving the following areas: San Antonio, Bexar County, and the surrounding counties including Atascosa, Bandera, Bexar, Comal, Dimmit, Edwards, Frio, Gonzales, Guadalupe, Karnes, Kendall, Kenney, Kerr, Maverick, Medina, Real, Terrell, Uvalde, Val Verde, Wilson, and Zavala. Persons depicted in photos on this website are neither the Firm's attorneys nor clients.